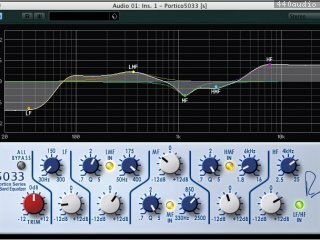 The Rupert Neve Designs Portico 5033 is a high-quality 5-band parametrical equalizer that brings the legendary Neve sound to the world of digital music production. Utilizing Yamaha's unique VCM technology, this plug-in exactly reproduces the analog warmth and sonic finesse of its acclaimed hardware counterpart. Apart from the low-shelf filter, each band also includes a virtual status LED, showing whether a signal is currently processed in the respective band or not. 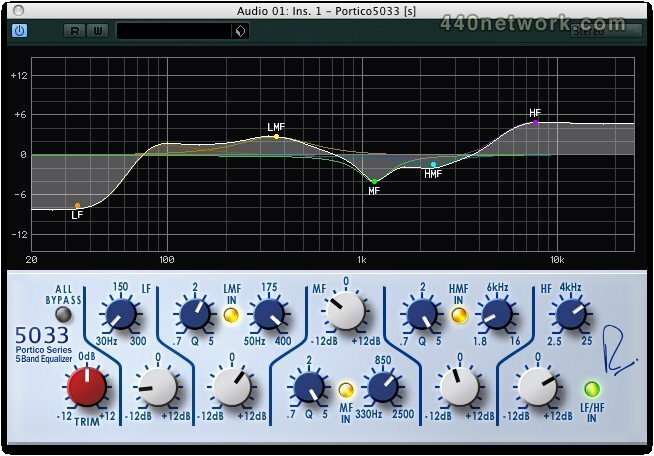 What's more, the Portico 5033 provides an option to bypass all bands for quick A/B checks, and the TRIM knob allows an adjustment of +/- 12 dB for the entire audio signal.